Munich Re is a leading provider of primary insurance and reinsurance around the globe. At Munich Re, innovation is expected to make a major contribution to the bottom line. This includes generating revenue from the active development of new businesses and from tapping new profit pools by expanding existing market boundaries with innovative products and services. Munich Re believes that those who identify the potential of new technologies, trends, and technological progress at an early stage will obtain a competitive advantage and build the foundation for innovation. Their 2016 IT Trend Report, which identifies the emerging technologies and business model trends they are following can be found here. Arlene Kern, Senior Vice President, New Strategic Markets, is one of the leaders responsible for creating a disciplined and sustained innovation practice to generate economic growth for Munich Re’s US P&C Operations and its clients. 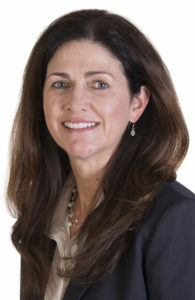 Arlene Kern, Senior Vice President, New Strategic Markets, Munich Re. Q. Arlene, tell me about the innovation efforts you are responsible for at Munich Re. A. My work is currently focused on Insurance On Demand for US P&C operation. Insurance on demand includes things such as new digital distribution, Peer to Peer models, Sharing Economy or Usage Based Insurance to name a few. Q. How are you organized? A. We have a dedicated incubator located in Munich Re’s US headquarters in Princeton, NJ. The Incubator currently has resources dedicated to two domains: Insurance on Demand (new digital distribution, Peer to Peer models, Sharing Economy or Usage Based Insurance to name a few); and Mobility, which focusses on telematics, shared mobility, crash avoidance and autonomous vehicles. We recently added a virtual innovation lab within the incubator that helps to speed the launch and scale of innovation efforts. We are a new group, and essentially a “startup” ourselves existing within a traditional incumbent company. Additionally, we work closely with our dedicated innovation scouts, in Silicon Valley and globally, who have their hands on the pulse of emerging trends and partnerships. We also have a Corporate Venture Capital arm located in San Francisco that leads investment efforts. There are other Munich Re innovation efforts located around the globe, which offer a wider network to tap into for ideas and learnings. Q. What stages are the startups you are working with? A. Generally, we want to work with startups that are funded and have a clear vision of their offering. We look for strategic alignment with Munich Reinsurance America, Inc. and a good fit between the startup and our capabilities. Q. When you first meet with an interesting startup, how do you evaluate them? A. Understanding the problem the startup is trying to solve and believing there is a place in the market for that solution is important. We look for the ability to scale, and some sort of a differentiated value proposition. Q. What resources do you bring to the table for innovative InsurTech startups? Are you providing mentorship? Facilitating proofs of concept or pilots? Introducing them to your clients? A. Yes to all. We look at each startup to assess the best fit within the entire value chain. Sometimes that won’t be with us, and we would be happy to make the introduction to a client if that is a better. Q. Can you offer them access to data? This is often a stumbling block for startups in InsurTech. A. We haven’t found that to be a tremendous stumbling block. We generally don’t offer access to data, unless it is for our own use with the start-up. Q. How often do the startups you work with go on to become vendors? Does Munich Re ever invest in the companies it finds through your innovation efforts? A. Our innovation efforts here in the US are too new to really answer how often startups become vendors. You’ll have to check back in a few years. Yes we do invest, as appropriate, through our Corporate Venture arm. Q. IoT, telematics, and autonomous vehicles are obvious areas for you to explore, but are you also looking at startups in big data and in analytics, for example, that have major implications for a firm like Munich Re but aren’t strictly speaking, InsurTech? Utilizing previously unavailable data and sophisticated analysis will certainly improve risk assessment, loss prevention and claims handling. A. We consider big data in all of our efforts even those related to telematics, autonomous vehicles and even digital insurance. The digital footprint is easy to gather and provides customer behavior information as well as access to new data that can lead to new rating models and certainly loss prevention. Q. Companies outside insurance are setting customer expectations regarding digital and mobile experience, product design, and service. Competing on this basis represents a challenge for most established financial firms. Are these areas of focus of your innovation team? A. Absolutely this is an area of focus. We can look to other financial service industries and see that digital and mobile experience has transformed the way they do business; we expect the same will take place in the insurance industry over time. Q. Is one of your objectives to bring the elements of startup culture – speed, flexibility, customer centricity, willingness to take risks – back into Munich Re? If so, how do you do it? A. We are looking to achieve a shift toward an entrepreneurial culture that would include speed, flexibility, customer centricity, and willingness to take risks. This is challenging to accomplish within a large company that is rooted in a deeply traditional industry, and it will take time. Constantly challenging the status quo, providing examples of when it works well and having the support of senior management are all important elements. We have that commitment! Q. How do your innovation efforts fit within the global innovation efforts at Munich Re? A. Our efforts are focused on US P&C, but there are other global efforts underway within the MR group. We have regular discussions with North American and global colleagues to ensure we are sharing appropriate opportunities, and good ideas and lessons learned. Q. How closely do you work with Munich Re / HSB Ventures? They’ve been fairly active investors in startups with innovative business models and are also backing Plug and Play’s accelerator for IoT. A. We certainly are aware of each other’s work and talk regularly. Our focus is different…we focus on partnerships and they focus on investments. The two sometimes intersect which allows us to work together. Q. Munich Re is a Founding Partner of Plug and Play’s new insurance initiative and partnered with Alma Mundi Ventures in Spain to launch an insurance accelerator called MundiLab. What is your strategy regarding incubators and accelerators? A. We see both incubators and accelerators as critically important to having a balanced and holistic approach to innovation. Q. Are you operating other innovation labs? A. We recently added a virtual innovation lab in the US within the incubator that helps to speed the launch and scale of innovation efforts. Q. What should readers know about “Mobility Domain”? A. The Mobility Domain works across Munich Re’s US Property & Casualty Operations to develop new risk management solutions and services related to telematics, shared mobility, crash avoidance, connected vehicles, and autonomous vehicles. In less than two years, the Mobility Domain has underwritten new mobility risks, identified and partnered with mobility startups and conducted numerous pilot programs with clients to assist in reducing their auto exposure. Q. Which InsurTech trends are you most excited about, and which trends are overhyped? A. I’m most excited about the trends that really address a “pain point” within the insurance industry. While I work within the industry, I’m also a consumer, so I get the pain points. There are real improvements to be made. Not sure about over-hyped, but the trends that try to create risk transfer solutions, when there is no real demand for risk transfer are questionable to me. Focus on customer experience or need has been lacking in the industry for some time. I think bringing these elements in is really exciting. Within the mobility domain, there is also an opportunity to improve safety and save lives. There is nothing more exciting or compelling than that. Q. What are the biggest opportunities for innovation that you see in reinsurance? A. Certainly there is an opportunity to take the innovation journey with our clients. Because reinsurance sits at the end of the value chain, there is a risk that reinsurers become complacent about innovation. We will not be complacent. Many opportunities exist within the distribution, product and service elements of reinsurance. Q. How does Munich Re judge the success of its innovation efforts? A. In these early days, return on learning and activity based KPIs guide us, but soon, it is about generating new revenue streams and economic growth. Munich Reinsurance America is celebrating its 100th birthday in 2017. We’re excited to set the stage for the start of the next 100 years! Q. What else would you like people to know about Munich Re and its innovation efforts? A. It’s an exciting time to be part of this industry and have the ability to influence the changes that are going to take place. We’re committed to moving the industry forward. Q. How should interested entrepreneurs get in touch with you? A. They can reach out to me directly, or to any of my colleagues in the innovation roles mentioned above. We would love to hear from you! This entry was posted in Innovation, Insurance and tagged Munich Re, P2P insurance by jim. Bookmark the permalink.